Lord Palmerston was also on conflict's edge with the royal couple. 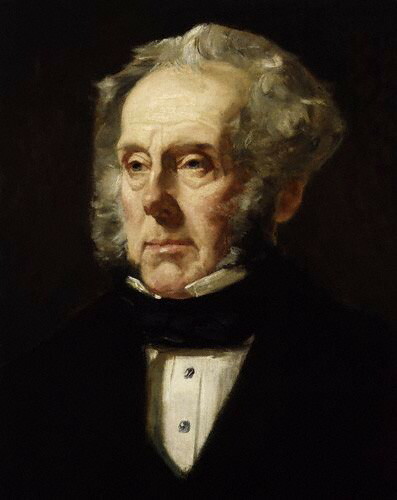 Palmerston’s appointment to the Foreign Office came shortly after he celebrated his 60th birthday, a time when he could proudly look back on his achievements and career in the government that began in 1809, ten years before Queen Victoria and Prince Albert were born. Always confident in his wit and diplomatic skills, he is well-regarded by his colleagues and enemies alike with his strong capacity solve every problem in the office at an instant. Cunning, brave, unpretentious, and disdainful when dealing with other foreign potentates and diplomatic envoys, Lord Palmerson was, in any way, the opposite of Prince Albert’s dignified and rigid personality. This led to a breach in the relationship between the two men. Albert made it known that he never trusted Palmerston. His dislike to him was such that, with the advice of Stockmar, he came to a point of arguing with him over his interpretation of the British Constitution. Amidst the heated quarrel between the royal couple and Lord Palmerston, the former was eventually able to employ the support of the prime minister Lord John (later Earl) Russell. Russell was always at loggerheads with Palmerston for treating his colleagues as casually as he did to the sovereign. He took important decisions to himself and made crucial orders without consulting either the queen or the prime minister. site to know more about Safelocks.